Every semester, crazy pastors come to OSU. Actually, I don’t know whether they are legitimate pastors or pyschos on a mission, but either way, they take over library lawn and yell at people. Loudly, I might add. Now, it takes a lot to make me angry. I’m a pretty even-tempered person, and few things bug me. But these people make me FURIOUS. Why? Because they abuse Jesus for their own agenda. They condemn. They hate. They spite. And worst of all? They justify their corrupt, hateful words through Jesus. Friends, I don’t worship that Jesus. I don’t worship the Jesus who calls people whores. I don’t worship the Jesus who hates people. And I certainly don’t worship a Jesus who sends His followers to hurl insults like the Pharisees. I worship the real Jesus. I worship a Jesus who loves people. All people. And by all people, I genuinely mean ALL people. I don’t care what race, gender, ethnicity or sexual orientation you are, Jesus loves you. My Jesus was best friends with tax collectors (who were basically Biblical bad guys), prostitutes and sinners. And what’s even more incredible? Jesus didn’t wait for them to be clean to love them. He didn’t wait for them to fix themselves. He just loved them as they were. Broken. Flawed. Hurting. Helpless. Scared. Prideful. Guilty. Shamed. 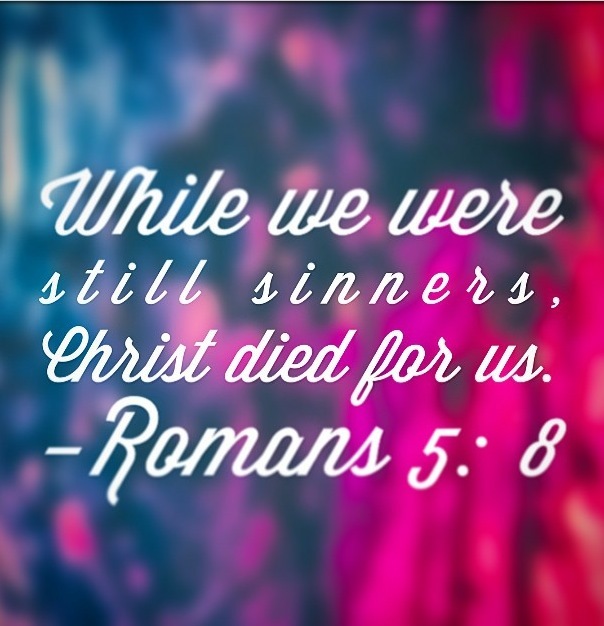 And through every wrong choice, through every Sin, through every mistake, He loves us still. But you see, Jesus loves us enough to not leave us the way we are. As humans, it’s in our DNA to make mistakes. To mess up. To be selfish. None of us is perfect. When we fall, when we fail, when we falter – Jesus is there. Jesus is waiting with open arms to scoop us up and hold us close. Like any loving Father, He wants His children to do what is best for them. Except Jesus takes love to a new level. There’s no righteous indignation. There’s no condemnation. There’s no shame. There’s only grace and freedom and mercy and joy. Welcome home, my child. You are beloved. I made you. I will never leave you nor forsake you. I’m with you. I’m for you. I will carry you. Jesus calls you by your name. He washes away your Sin and embraces you with love. How amazing is Jesus? While we were still lying, while we were still stealing, while we were still lusting and arrogant and taking His name in vain, Jesus loved us enough to save us. Jesus, the only one without blemish, was willing to take our punishment EVEN IF we never loved him back. That is the deepest love fathomable. Jesus didn’t come to harm you but to help you. Jesus didn’t come to shame you but to love you. Jesus didn’t come to damn you but to free you. Jesus gave us grace. All we have to do is believe it, accept it and live it. As much as some people try to deny it, His grace is enough. **As a side note: Let me be clear, though, grace isn’t an excuse to Sin. Grace is freedom from Sin. (Read this great blog post called ‘Cheap Grace isn’t Grace’ because it rocks!) Because when you’ve been transformed by a Jesus who loves as deeply as He does, you want to do things pleasing to Him. But the thing is, we do good works not for our salvation but because of it. Hey, friends. Do you ever have those days where you feel like a cabbage patch kid in a sea of Barbies? I sure do. Lately, I’ve been feeling insecure about myself and my appearance. I’ve been letting my lies crowd God’s truth. And I’ve been filling my head with poisonous, hateful words. I wish I were skinnier. I wish I were prettier. I wish I were nicer and smarter and kinder and funnier and more talented. I wish my teeth were whiter and my smile were brighter and my hair were longer. I wish I didn’t look like a 12-year-old. I wish I looked like the rest of the girls in my classes. The list continues longer than I like to admit. As girls, I think we have an inherent hazing ability. Because when I think about it, that’s what I’m doing. I’m hazing myself. I’m saying I’m not good enough. I’m saying God’s not enough. How many destructive things do I do to perpetuate my negative self-image? Confession. I’m an insta-stalker. I find myself constantly scrolling through people’s instagrams and comparing myself to them. I do it until I feel ugly and sick and worthless. The fact that someone else is beautiful shouldn’t make me feel ugly. It should make me marvel at the wonders of God’s work and how He designed each of us so perfectly, wonderfully and uniquely. Life isn’t a competition. Yet, I insist on making it one. She’s prettier than me. She’s skinnier. She’s smarter. She has everything. She is perfect. Listen to me, friends. She’s not you. She will never be you. There will always be someone you think is prettier or smarter or better. Have you ever gazed at the night sky and marveled at each dazzling star? Have you ever admired dainty flecks of snowflakes as they dance from the sky? Have you ever marveled at a sunset, noticing each perfect hue amidst a kaleidoscope of colors? I hope so. Because each star, each snowflake, each sunset is hand-painted by God. And God paints them all differently. He never makes duplicates. And it would be impossible to compare them because they are all unique and precious. 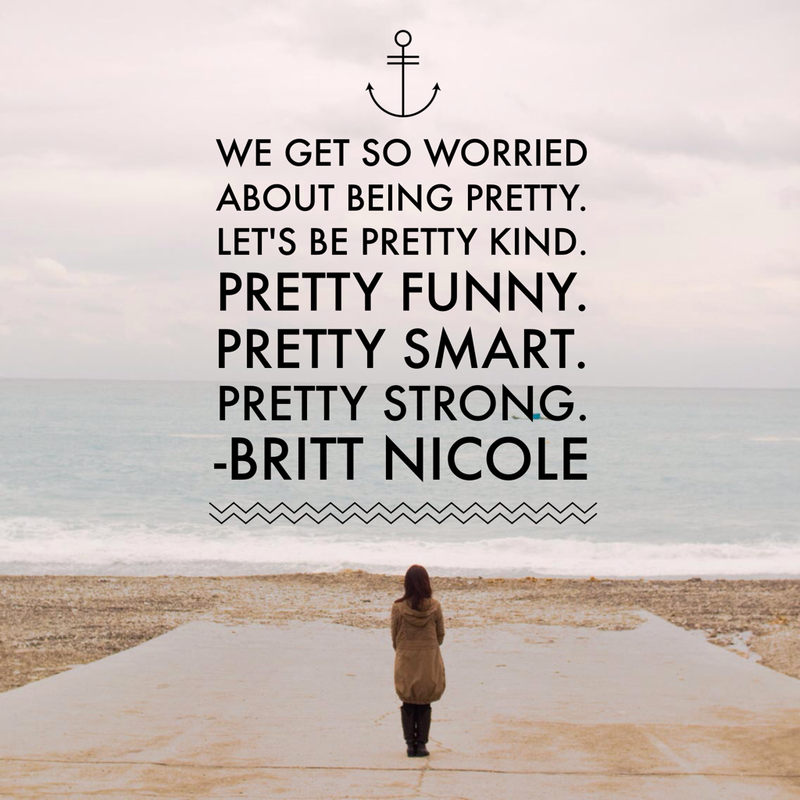 So we may think someone else is more beautiful. We may think someone else has a cooler life plan. But God doesn’t. What if God designed us to look the way we look because He programmed our future spouse to find us attractive? God’s pretty cool like that. Maybe God designed us to look the way we do to make certain friends, to do certain things and to inspire certain people. Maybe God created a special love story for us, and it depends on us looking the way we look and being who we are to find it. And even if God doesn’t write us a love story, His plan for us will turn out even more beautiful than a Nicholas Sparks novel. Whatever His plan, God made us with the same amount of love and care as everyone and everything in this world. Even though God calls us His masterpieces, beauty isn’t what makes us special. Why do we get so caught up on what we look like, when it doesn’t matter? When I think about the people I love most this world, I don’t love them because they are pretty. Sure, I think my family and friends are beautiful, and I would argue with anyone who disagrees. But I don’t love them because they’re pretty. I love people who love me well. I love people who are compassionate and selfless and kind. I love people who shine for Jesus. I love people who make everyone feel beautiful. You are beautiful not because of anything someone says or doesn’t say to you. You’re beautiful because God says so. I could say you are all beautiful, and I promise you I mean it with all of my heart. But that’s not why you should believe it. And honestly, you probably wouldn’t believe me. Believe you’re beautiful because you are fearfully and wonderfully made. (Psalms 139:14). Believe you’re beautiful most of all because God made you. And God only makes beautiful things.